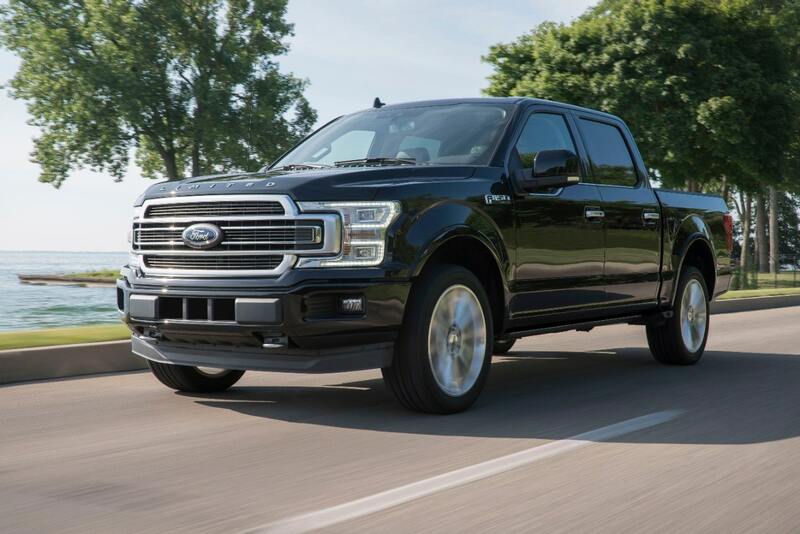 2019 models of the Ford F-150 are already on dealer lots and available for test drives. I had forgotten what a pleasure it is to drive a Ford Truck in that I hadn’t been in one since the Texas Truck Rodeo of 2017. That all changed this Thanksgiving week when I was afforded the opportunity to take an extended drive in a new 2018 Ford F-150 Power Stroke Diesel. Just as everyone who we met during our week-long escape in the truck, we were amazed that no one even knew it was a diesel it was so quiet and smooth – a far cry from the 1997 heavy duty Ford diesel I owned back when Ford had monthly new vehicle launches and a full fleet of press cars. Others were surprised to learn Ford has a diesel powered F-150. Its 3.0-liter V-6 Power Stroke diesel engine boasts 250 horsepower and 440 lb.-ft. of torque, 11,400 pounds of towing capacity, and 2,020 pounds of payload capacity. While Ford only expects diesel sales to make up 5% of overall F-150 sales, they gave diesel shoppers several options. The all-new 3.0-liter V-6 Power Stroke diesel engine is available for both 4×2 and 4×4 drivetrains in Lariat, King Ranch, and Platinum editions in SuperCrew trim levels with either a 5.5-foot or 6.5-foot bed configuration, and SuperCab trucks with a 6.5-foot bed configuration. It’s no mystery why the F-series has been able to maintain its lead in truck sales for -the past 41 years, seeing the massive number of on-board improvements in this new 2018 model – not the least of which are massaging seats. Those seats sure make a trip as long as from DFW to San Angelo a lot more pleasurable as well as much safer. I remember years ago speaking with Mark Fields, past CEO of Ford about how massaging seats would be a fantastic addition to the Ford fleet. It’s great to know that he and others at the company followed through and made them available on Ford models. 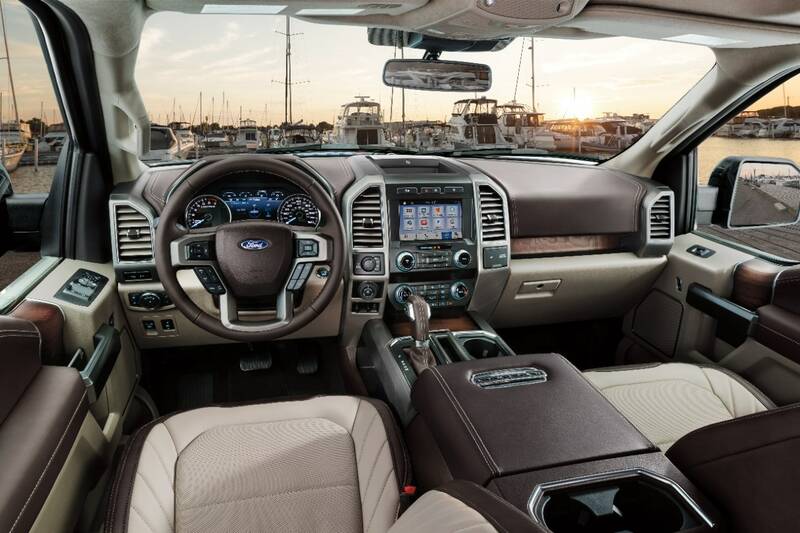 Massaging seats are not the only great feature of this new 2018 Ford truck. This year’s cold streak in Texas made the heated 10-way power seats a real welcome addition, as I’m sure drivers and passengers throughout the entire country will find important in what is turning out to be record cold temperatures country-wide this fall and early winter. The luxury that abounds in the new Ford F-150 trucks is beyond belief when compared to models of years ago like the 1997 Diesel Heavy Duty truck that I once owned. The Sync system is also much quicker in functionality than on any Ford I drove back when they were a regular part of my driving arsenal. I admit to being one who admitted to always liking Sync, but the new version is vastly superior to anything I experienced years ago. Another feature that is vastly improved is the rear tailgate step. I no longer fear falling as I attempt to climb into the truck bed (fear of even such low heights has always been a mainstay in my life). This new F-150 is also great on fuel economy with a range up into the stratosphere. It is slated at 22 city, 30 highway and 25 overall mpg on the 4×2 model. The base MSRP on diesel model is $55,355 with the King Ranch model I tested weighing in at $68,715. Having driven this Ford, I admit to hoping the days of more Ford’s in the fleet and more launches in the future becoming a reality. Driving the newest F-150 has been nothing short of a real pleasure!